Hi, my name is Newt Karkofsky and I'm here to tell you about the Cambro Shoreline meal delivery system for healthcare. Patient satisfaction is very important to food service operators, and this system was created to help you increase patient satisfaction levels. 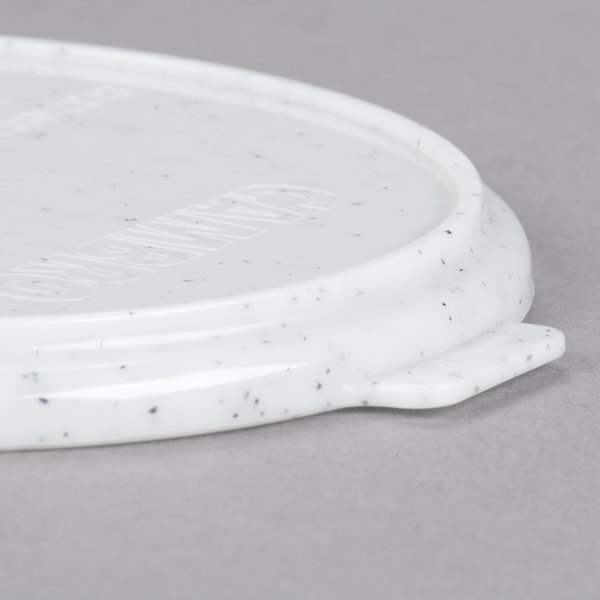 At its core, the Shoreline system includes a dome, plate, underliner, bowls, and mug. 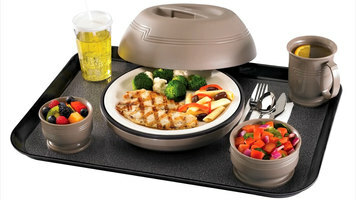 The system consists of a choice of insulated domes to fit any transport needs, 9" ceramic plate, 2 bowls - (1) 9 oz, (1) 5 oz. - an 8 oz. 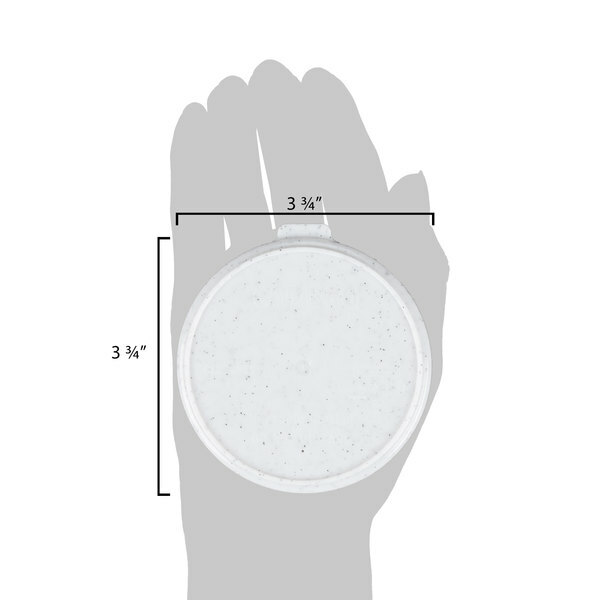 mug, an underliner for use with a thermal pallet, and a larger 16 oz. entree bowl. 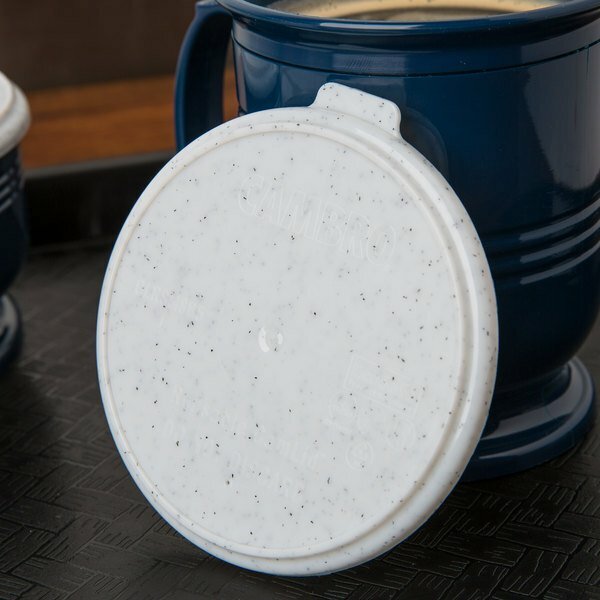 The domes, mug, and bowls are all insulated to help keep heat retention, and the mug and bowls have an industry exclusive NSF listing. 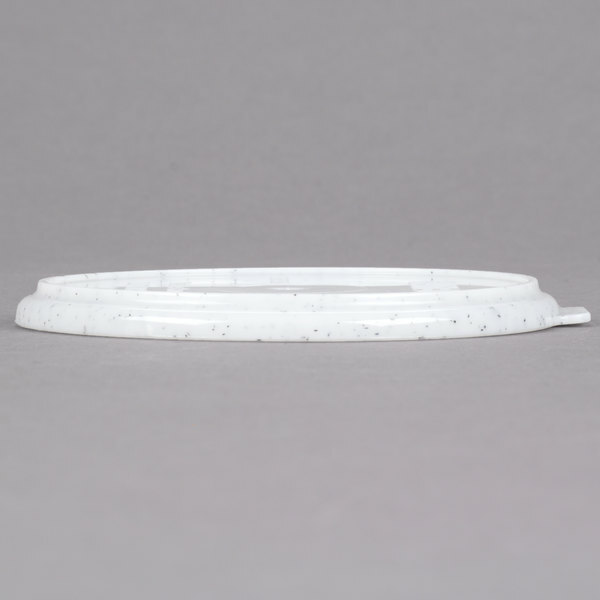 The 9" ceramic plate assists with temperature maintenance. Let's talk colors! As you can see, we offer a variety of colors to complement any decor. 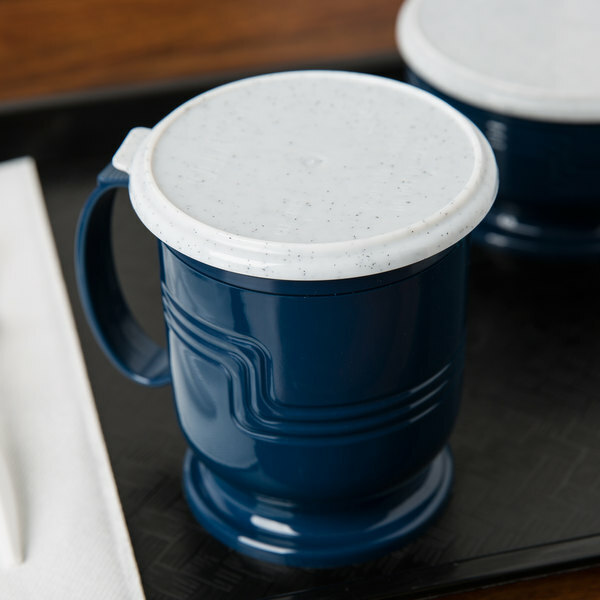 And of course, no meal delivery ware is complete without lids! Cambro offers disposable lids for all the bowls and mug, as well as reusable lids. 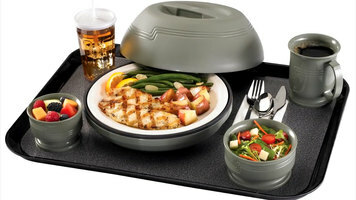 Cambro invented the reusable lid for meal delivery ware. Reusable lids need to fit perfectly every time. 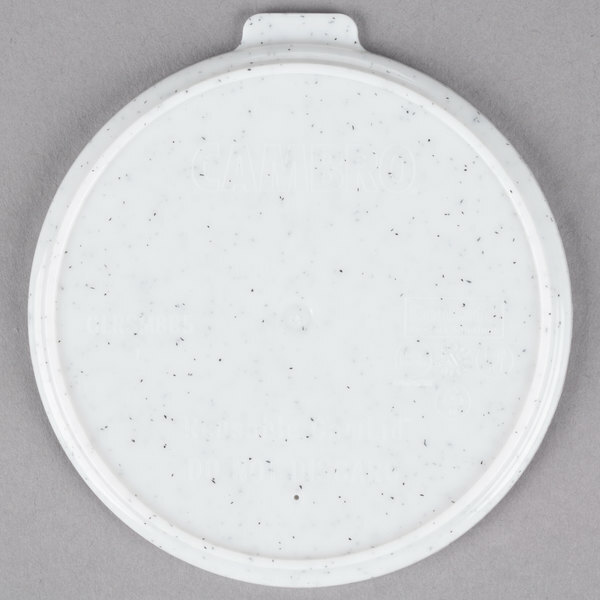 We also offer the exclusive wash and store system to wash and store the reusable lids. Along with the key Shoreline components, Cambro also offers a wide variety of tumblers and scroll bowls. The Shoreline system maximizes performance when used with one of Cambro's temperature solutions. The Camduction Complete Heat system, the Thermal Pellet system, and the Heat Keeper insulated base system. And last, but not least, what Cambro's known for - trays! 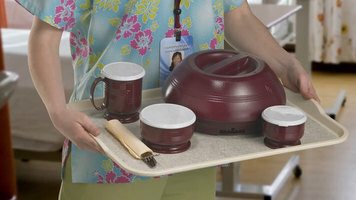 Revolutionary, non-skid, Versa Camtrays and the room service Camtray provide safe and secure handling. And that's the Shoreline meal delivery system, a key component to patient satisfaction. Thanks for watching! 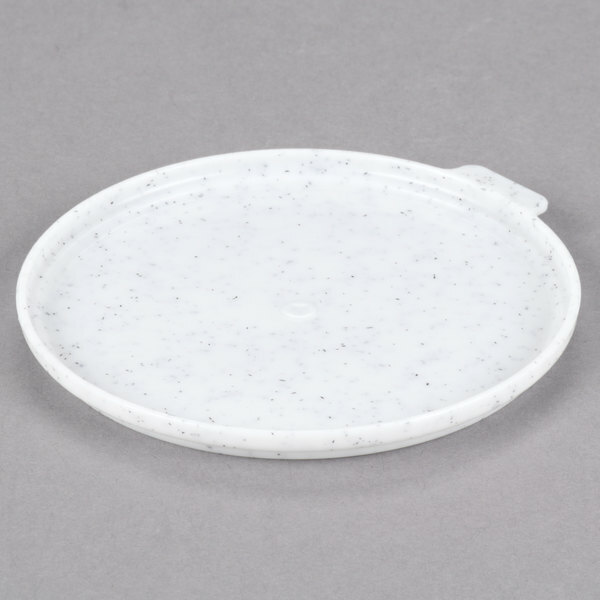 This Cambro CLRSM8B5490 speckled white reusable CamLid will keep the contents of your Cambro Shoreline meal delivery MDSB5 5 oz. bowls and MDSM8 8 oz. mugs warm and prevent spillage.